The whole game of cat and mouse with a murderous twist is a big thing of late when it comes to gaming. 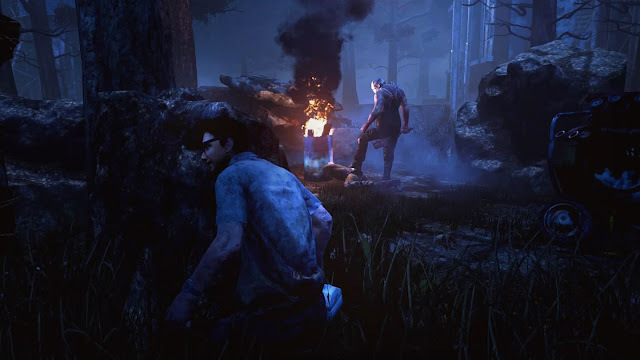 We've only just had Friday The 13th release onto consoles not so so long back, and now this, Dead By Daylight. Coming to the Xbox One on June 20th (23rd for us in the UK), the game is pretty much what it says on the tin, with four players trying to avoid the human controlled killer the best they can. I've watched a few streams of this in recent months, and much like Friday 13th it just looks a bunch of fun to play. The four survivors play the game in third-person and have the advantage of better situational awareness. The Killer plays it in first-person and is more focused on their prey The game is available to pre-order now on the Xbox store for £23.99/$29.99, which you can do so by clicking here. Hopefully it works better than F13th seemed to at it launch. Lot of angry people on Twitter (but when isn't there). The devs of this could look great in comparison if they pull off a flawless launch!